For the next 8 weeks, Kiddie City will host a parent-child activity evening for all in the City of Euclid, led by Mr. Tom Evert of "DancEvert" Company. Mr. Evert will lead participants in a fun evening of yoga, Pilates and dance fitness. Tom Evert is an energetic, enthusiastic, and motivating instructor, who inspires ALL individuals. He is a Euclid resident and the former world renowned lead dancer of the acclaimed "Paul Taylor Dance Company" of New York City. 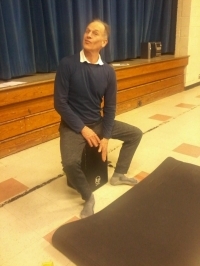 He has taught dance classes at Shore Cultural Centre, in addition to yoga and Pilates training at University of Akron and Lake Erie College, and has served as a teaching artist for the "Center For Arts Inspired Learning". He currently works with students in the Euclid City School District, integrating the art of dance into the core curriculum. This is a FREE and OPEN event to ALL in the Community. Bring your yoga mat, if you have one, and water bottle,too. Extras will be available. Don't miss this fantastic weekly opportunity! Let's get active and fit this Winter!!!! No reservations are necessary, and all interested individuals of any age or ability may join the group at any time. The Kiddie City "Health Champions" will be hosted on the following Thursday evenings from 5 to 6 PM: April 4, 11, 18 & 25. For questions and more information, please contact Kiddie City at 216-481-9044. 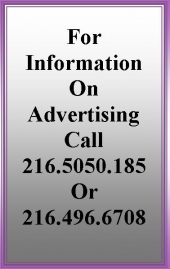 Also check the online Calendar of Event on the "Euclid Observer" website. Kiddie City is a "Five Star" award winning childcare facility with "Step Up to Quality" in the State of Ohio. It also participates in CEOGC Head Start and Universal Pre-Kindergarten (UPK). For more information on enrollment, please contact Dayna Lube White, Director.